This recipe hardly needs an introduction. Especially if you’re a peanut butter connoisseur. It’s a bread. Infused with copious amounts of peanut butter. 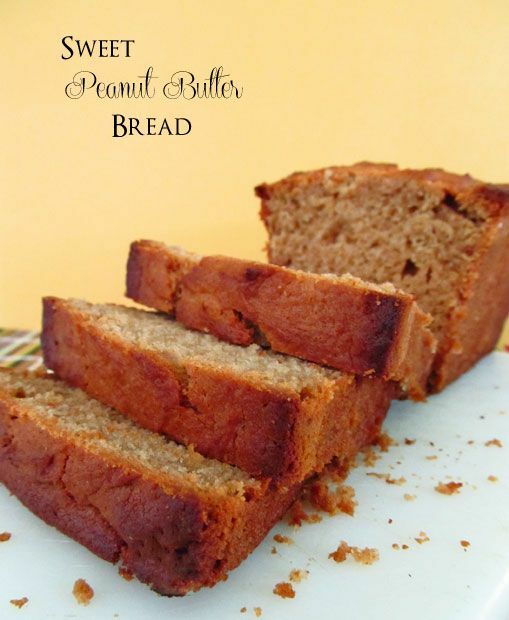 Sweet, fluffy peanut butter bread! Preheat oven to 350° F. Grease a standard-sized loaf pan and set it aside. In a small bowl whisk the flour, baking powder, and salt together. In a separate large mixing bowl beat butter and sugars on low speed 2 minutes, Beat in peanut butter then egg and vanilla, scraping down sides of bowl. Add flour mixture and beat on low until combined, the batter will be very thick and crumbly. Pour in milk and beat on low until batter is smooth.